I am thrilled to announce a giveaway from Urban Walls. A $40 store credit from Urban Walls to get a vinyl decal of your choice. Here is a small sample of what they have in their store.Urban walls can customize almost any wall decal for you. 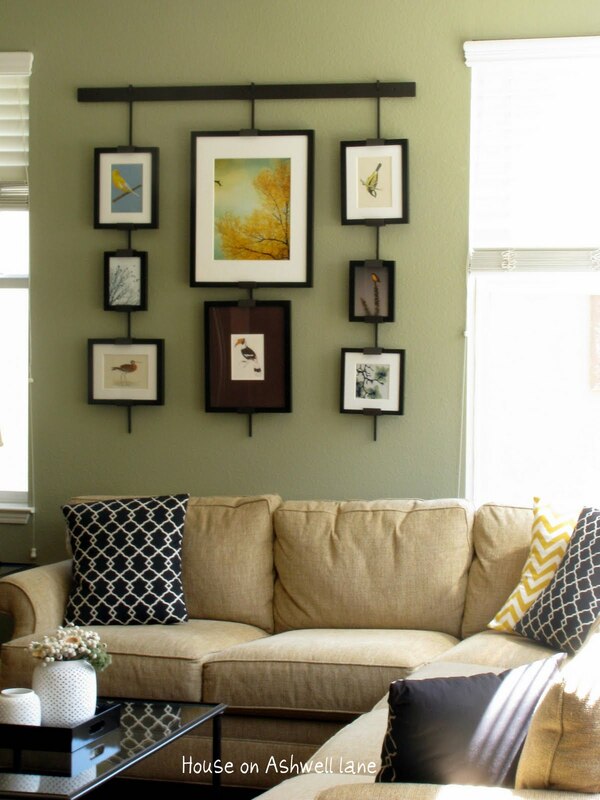 From a simple jpeg picture to a thought in your head, they can make your vision a reality on your wall. Wall murals/stencils are expensive and require a lot of effort and time. You can add so much charm and personality to a nursery or kids room without spending a huge sum of money on a muralist. Whether it is a small monogram, a quote or their favorite character, you can add it with ease. My favorite is the boy's silhouette blowing bubbles! 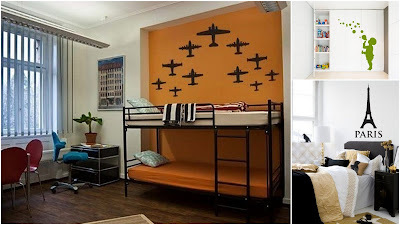 What a great way to personalize your kids room. 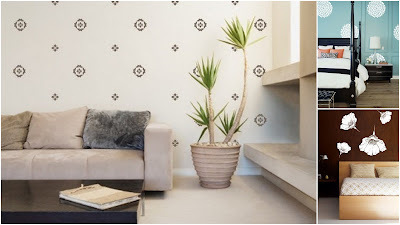 you can get the look of designer wallpaper without having to spend the a huge fortune with these vinyl decals. If you are scared to commit to a wallpaper this is a great alternative! Urban Walls has designs that are perfect for today's modern homes. The vinyls at Urban Walls are cut (with no edges or backgrounds) from a specialized vinyl that is specifically designed for home decor. Unlike standard high gloss signage vinyl, the product has a matte finish that gives a gorgeous painted look without bleeding or permanency. They are easy to apply and last for many years . Every design is available in a wide range of colors! The winner gets a $40 store credit to choose any decal in the store in any color! 3. Follow House on Ashwell lane using GFC/facebook/twitter.Same for existing readers. Leave me a comment telling me you are an existing follower. You can leave one comment each for GFC/facebook/Twitter. 5. Tweet about this giveaway. You can tweet once every day. 6. Share this giveaway on your blog. What a great giveaway. I would probably pick the butterflies decal for my daughters bedroom. We love butterflies and they would look great against her purple walls. I would get a circle letter to go above my son's crib in his nursery. I really love the damask one! Thanks for stopping by and letting me know about this incredible giveaway! "Hope and a Future" for me. Not only is that "my" verse, but we're moving soon, and I need to decorate! I love the "Love Never Fails" decal! Great giveaway!! Also follow you on google friend connect! Shared on facebook! Can you tell I REALLY want to win!? :) love these! I love the Love Never Fails decal! I just love the tree branch! It would look awesome in our new baby's nursery! Became an urban walls fb fan. I follow you on twitter! Thank you for letting me know about your giveaway! I love the "Frame It" decals. SO whimsical! I follow you through Google Friend Connect. Thanks for stopping by my blog to let me know about this giveaway! I love the princess one! it would look so cute in my daughters room! I love all the pieces but I would definitely pick the "hummingbird". It's beautiful, lively, dainty and earthy. I am drawn to pieces that reflect life. Oh this is an easy choice for us. My son is a champion martial arts contender. We would definitely choose the karate kid ones for his room! Right next to the shelf with his trophies =) Thanks for this great give away opportunity! I would get the birds on branches if I won! I'm a new follower of your blog via GFC. I love these! My favorite is the palm tree decal. great give away! thanks for partying at Type A! I love these! I "like" Urban Walls on Facebook! I visited Urban Walls... and I can't decide which is my favorite!! I love the quotes and the birds/birdcages. Sooo pretty! The wall map is my favorite. Thanks for visiting my blog! I would get the Fruit Of The Spirit one. I've never seen it before, and it a beautiful reminder of the kind of person I want to be. P.S. I'm also joined on facebook, shared on facebook, and tweeted! LOL Great giveaway! I'd have to go with the clouds! 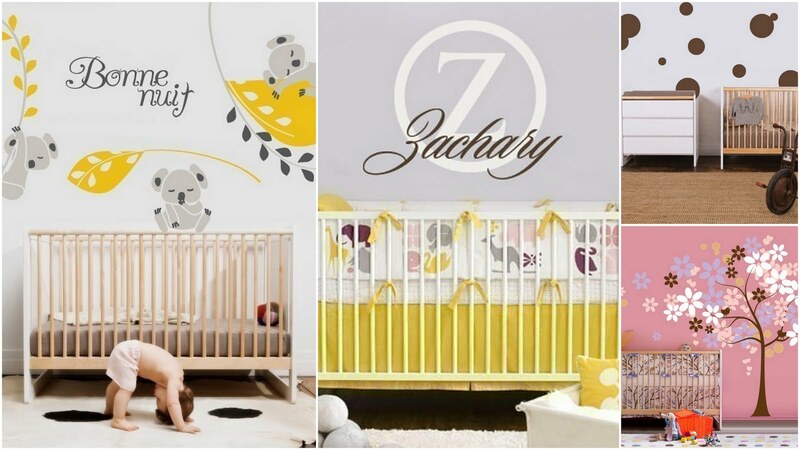 I'd choose the adorable Monkey See Monkey Do decals for our baby's nursery. I Like Urban Walls on facebook - emillie rose. I shared on fb - http://www.facebook.com/pages/Urbanwall/127657407254727?sk=wall#!/permalink.php?story_fbid=142907489113277&id=100001891505536. I shared on twitter - http://twitter.com/#!/HisPrincess886/status/60791319131467776. 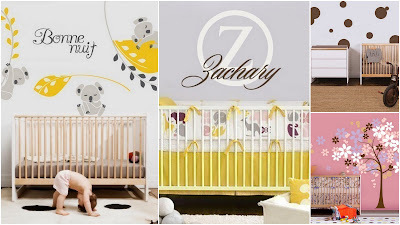 I would love the Vinyl Wall Sticker Decal Art - Baby Name. It is so cute! Thank you for inviting me to your giveaway! So hard to pick just one! I'd pick the Damask one! Cutesy Tree in the Wind would look perfect in my girl's new room. I like Urbanwalls on Facebook. I love the butterflies...I want to do the same thing over my kiddos crib!! Thanks for visiting me & telling me about this, how fun! I'd choose the Damask. I'd get the baby name decal! Like Urban Walls on FB! Following you via Twitter (@sazzyfrazzy)! I would SO love the Swirl Away or any thing in that style as it would compliment my new curtains in my living room! Adding your Giveaway on my blog! I just became a follower. I would have to chooe The Fruits of the Spirit. Happy Easter everyone! I would have to choose the Frame It decal. So neat. I liked Urban Walls on FB! I loved the monkey one. 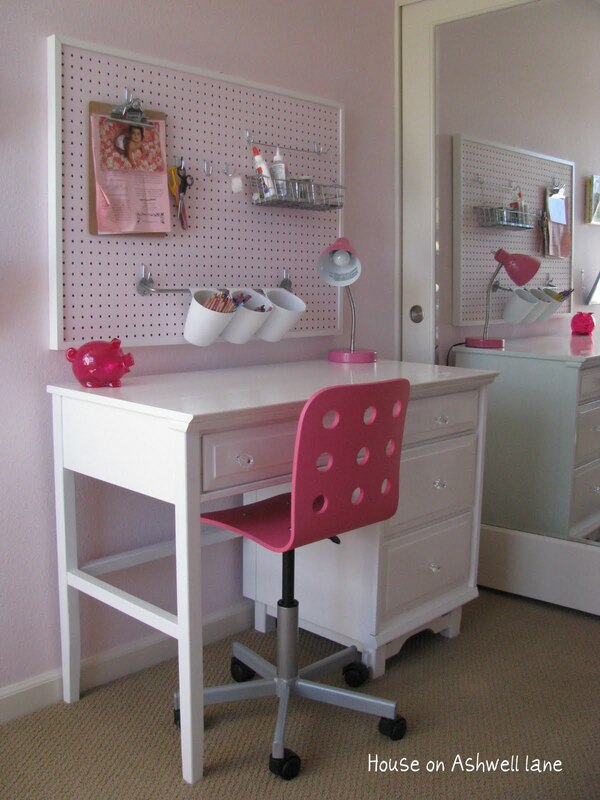 that would be crazy cute in a childs room! I would choose the hummingbird wall decal - too cute! I would choose the karate kids for my daughter's room. She would love them! I would choose the Baseball decal for my son! Thanks for the giveaway! A lot of times it's hard to get that "perfect balance" between superb usability and visual appeal. I must say you've done a fantastic job with this. Hi there it's me, I am also visiting this site on a regular basis, this web site is really nice and the visitors are truly sharing nice thoughts.